The next Children's Commissioner for England has been nominated by the Children's Secretary, Ed Balls. Maggie Atkinson, a former director of children's services, is set to take over from the current commissioner, Sir Al Aynsley-Green, in March 2010. Dr Atkinson was nominated following a "competitive and rigorous" selection process, the government said. The role is intended to provide a voice speaking up for children, especially the most vulnerable. Established in the Children's Act 2004, the Children's Commissioner is an independent "champion" of children, promoting awareness of their views and interests across all sectors of society, including central government, local government and private industry. On Monday, Dr Atkinson will face questions from the cross-party Children, Schools and Families Committee. The session has been called to "examine the professional competence and personal independence" of the government's preferred candidate for the post. Born in Barnsley, Dr Atkinson studied at Cambridge University. She taught English and drama for 10 years before moving into a national training and advisory role on the national curriculum in the late 1980's. 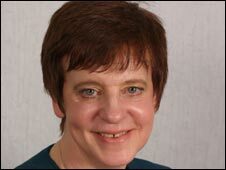 She became director of children's services in Gateshead in 2003. She was president of the Association of Directors of Children's Services until March 2008, and is currently chair of the National Expert Group on the Children's Workforce and national chair for the new Centre of Excellence in Outcomes. She is married with two adult stepchildren. Her nomination as Children's Commissioner was welcomed by the children's charity Barnardo's. Barnardo's chief executive Martin Narey said: "I have been hugely impressed with her work both in the North East and when recently leading the Association of Directors of Children's Services. "I look forward to our working together to improve the lives of children and young people." Professor Sir Al Aynsley-Green finishes his five-year contract as Children's Commissioner on 28 February next year.